Network Marketing done wrong can be your worst nightmare. Network Marketing done right can be a dream come true. Having the right information from someone who has experienced both and made over a million dollars in MLM can mean the difference for you. Imagine having access to the most coveted secrets of the network marketing elite; the advantage of 20 years of knowledge placed in your hands; a road map to navigate the challenges and target the triumphs; powerful techniques and examples that will cut your learning curve, and that of your organization, ten-fold; a chance to make a difference in the world, starting with your own family. Many training guides are dry and boring. ‘Secrets’ is written as a story that will make you laugh, inspire you, and propel you to success. 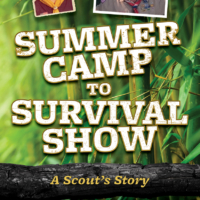 Expertly crafted, each chapter ends with Principles to Remember, Action Items, and Discussion Topics. COMBINATION NOVEL, WORKBOOK, AND TRAINING GUIDE – AN ENTIRE TRAINING SYSTEM IN ONE BOOK! – Learn the million-dollar secrets that will help you make more money faster, have the free time to enjoy it, and make a difference in the world! HIGHLY RECOMMENDED SUCCESS TIP: Have extra copies on hand to give to your new distributors the moment they join so they can be trained and get into action immediately. You don’t want them to have to wait several days to get this book due to shipping time; Immediate action can make the difference between success or failure for them! I have been in Network Marketing for a little more than 7 years. My first couple years went really strong and I hit some big goals early in my career. Once I did that much of my fire lessened. It’s been hard to really move with the same vigor and enthusiasm. I’ve worked with Terry Fossum in a shared business and have always found him to be a great inspiration to me. After reading his book, the pieces that I had been missing in my business had been found. “Secrets of a Network Marketing Millionaire” hits on scenarios that we all run into over and over again and puts these situations into perspective with a strong reality check. For those that have taken the time to understand the true dynamics of a network marketing plan, they’ll know that it has the potential of changing generations of lives when it is done right. Nonetheless, it is also the hardest thing a person will ever do. “Secrets of a Network Marketing Millionaire” shares a wonderful story of a seasoned network marketer and one that is just starting out. The story breaks into daily lessons that grow on one another to build a strong foundation. To build a strong business, it takes time, patience, endurance, mental strength, and the understanding that there will be roadblocks and obstacles along the way. Terry takes all of these components and gives it a reality check to show that truly anyone can do it and reminds people that they are in an industry in which they are never alone. This book reminds us that everyone around us wants the best for each other so that all can achieve more. We just have to have the confidence and the vulnerability to show who we really are deep down and what factors drive us individually at the most emotional levels. The tips in this book give honest and heart felt ideas on how to get through rough patches and how to revive yourself and move forward. Thanks to this book, I am defeating the WIMP more and more each day, my productivity and momentum is back in a forward direction, and I have a renewed reminder of my own ultimate driving forces that I cherish the most in my life. What a blessing your book has been. I pulled an all nighter the day that it came and have read it again since then. An absolute wealth of information I truly am amazed at the pearls of great wisdom found in this book. I will read your book again and apply your wisdom as I am most certain I will be seeing you along my journey to the top,and I look forward to extending my appreciation for your words of encouragement in person. I can’t thank you enough for blazing the trail and sharing your experiences. May you be blessed beyond measure. Terry has such an easy conversation style. He has an amazing way of teaching the principles that have made him and other network marketers so successful! There is actually so much more to it, I am going to reread it and already am earmarking sections I want to study again. Great end-of-chapter assignments to support you and your team – brilliantly done! He makes network marketing fun! Thanks Terry! This is the most amazing book on network marketing that I have ever read. I liked it so much I purchased 20 additional copies to hand out to people who I know have been looking for something like this for a long time. I love this book! This is recommended for everyone who is serious about their network marketing business. 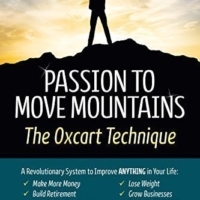 Terry Fossom is a great mentor and this book has provided tremendous guidance to take my business to the next level! 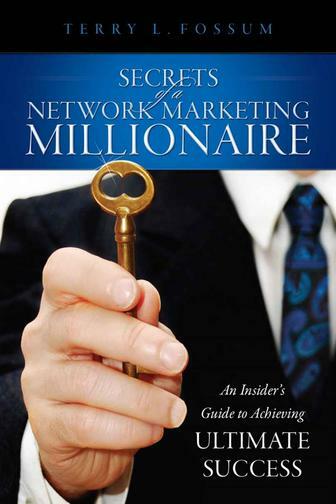 Excellent book for those that are new to network marketing. Terry teaches in a fun story telling way. I recommend it to anyone who wants to build a successful network marketing business. 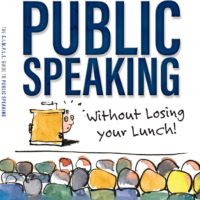 The Simple Guide To Public Speaking – Without Losing Your Lunch!